The Takara brand has introduced its new Kabuto Single Speed Road Bike as the flagship of their single speed road bike line. 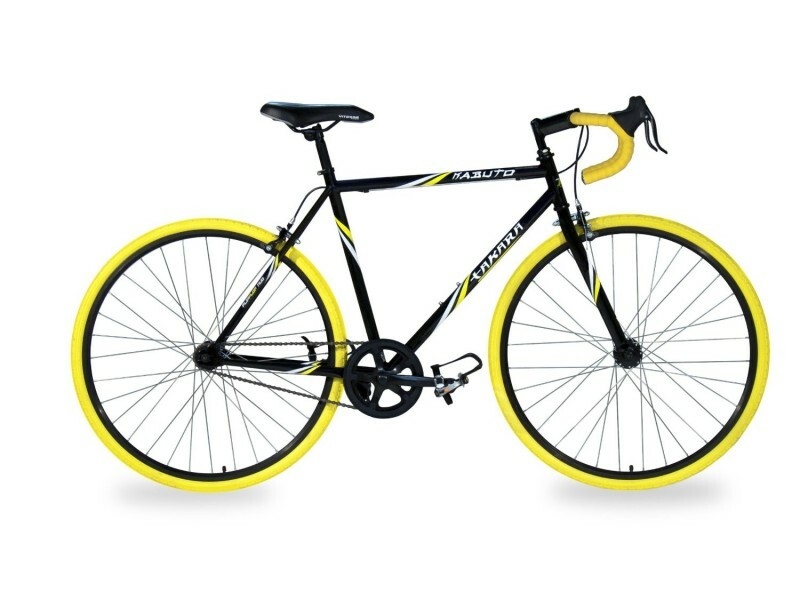 This cycle is best used as a commuter bike, as it is designed and intended for long-term road using a single speed for the common ride around the neighborhood or to work. Featuring a strong, handcrafted steel frame and horizontal dropouts that can handle abuse of riding through the city and roadways, The new Kabuto also contains a “flip flop” hub so the rider can run it as a fixed gear or in a standard free-wheel, single speed mode. This eliminates the worry for adjustments of temperamental components. The 32 hole alloy wheels support the Kendra 700 x 32 tires, which are excellent for withstanding less than ideal road conditions. The front and rear pull brakes are made of alloy and will fit riders from 5 feet 8 inches to riders 6 feet 2 inches tall. With a stand over clearance of 31 inches, it provides the room needed for men and women of a variety of heights. The design of this road bike is very bright and sturdy. No matter what color scheme you choose, this bike will stand out, making it safer for commuters and riders on the roadway. The Takara Kabuto Single Speed Road Bike excels at its intended design: offering freewheel or fixed gear options, the rider can use this bike as a long-distance road bike for casual use or workouts, and better, it is designed to be best used as a commuter bike. Takara understands that as a commuter bike, this model will need to withstand less than ideal road conditions as well as provide long-distance comfort and longevity. 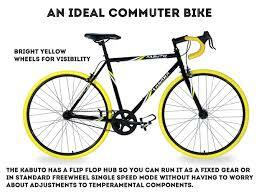 The best aspects of this particular road bike are its design, simplicity, and construction. Rather than a lightweight and cheaper aluminum frame, the Takara Kabuto uses a strong tig-welded steel frame and fork and utilizes alloy side pull brakes. This will offer a stronger road bike that can withstand more abuse that city roads and side streets often provide. The color schemes available are also very attractive, bright, and make it safer for the rider. Offering a highly visible ride, these unisex color designs are perfect for men and women of any age. The range of supported heights of the Medium sized Kabuto can be limiting for some riders. Supporting heights from 5 feet 8 inches to 6 feet 2 inches, many individuals (especially women), who fall in the standard range of height of 5 feet 6 inches to 5 feet 7 inches, will be excluded from this sizing. This is a negative aspect because Small sizes of this model are not readily available and sell out quickly. However, if you manage to nab a size Small, this is great for individuals under 5 feet 8 inches in height. This is not a premium model bike, but rather a road bike that is advertised and priced for casual usage. For the price, it is a great bike to get around town, but should not be used for road racing or off-roading. Some riders have experienced issues with the spoke and tires. The tires are inner tubes, but the quality of them are thin and not very supportive. They can withstand road use as designed, but the tires that come standard with this model may not be up to the job in the long term. The highlights of the Takara Kubato are its design and construction. As a casual road bike and commuter cycle, the Takara Kabuto uses a better quality frame than comparable models. Using steel rather than an Aluminum frame, this bike has a more durable body and construction. This leads to better functioning and longevity. The other highlight is its design. The aesthetics of this bike are very attractive given the simple design and four different color schemes available. Each color design is unisex, and excellent choices for both men and women. The design is bright, which is a plus, as it allows higher visibility of the rider on the roadway, making it safer to ride. This road bike’s functionality is quite good for its intended usage as a commuter bike and casual around-the-town bike. In addition, the functionality of the overall components are high as well. Due to the steel construction and use of alloy for the rims and side pull brakes, the overall quality is better than most other bikes of similar caliber and price. 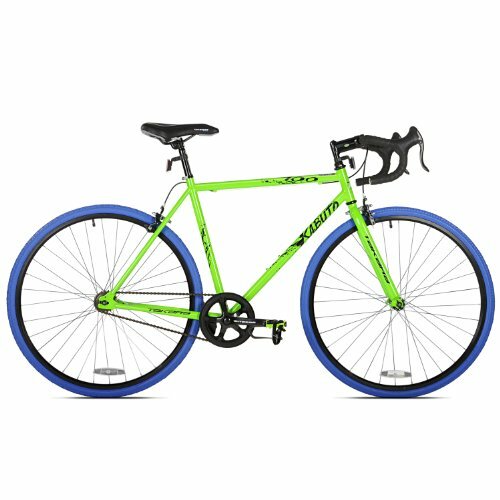 Depending on color scheme design, a medium Takara Kabuto Single Speed Road Bike will run anywhere from $169.24 to $234.78. You can purchase this road bike from Amazon. The overall impression of this bike by Takara is that it is a good entry level bike for casual riding and commuting. However, there are some concerns that could be addressed. For example, it may be best to purchase replacement tires of better quality than the tires that come standard with the Takara Kabuto. The tires are Kendra 700 by 32, which are inner tubes, but are thin and offer little support. While these tires are capable of withstanding road conditions, if run into a pot hole or coming into contact with a particularly sharp or rough patch, the tires have the potential to blow out or rip. The assembly process is fairly simple for this single speed bike, but to ensure proper tuning, it is recommended that full assembly and tuning be done by an experienced individual or even a professional. For the price, the quality of this model is as expected—however, compared to road bikes of similar price, the quality is actually better than most. The Takara Kabuto model is better than similarly priced models because of its simple components of a single speed bike as well as the steel construction of the frame and fork. Most bikes of this caliber tend to use a lightweight Aluminum frame—however, the steel frame offers more strength, better component quality, and more resistance to regular usage. The Kabuto road bike by Takara nearly attains a perfect ratings—however, with slight issues regarding component quality and consequently, the functionality of the bike, the overall rating took a bit of a decrease. 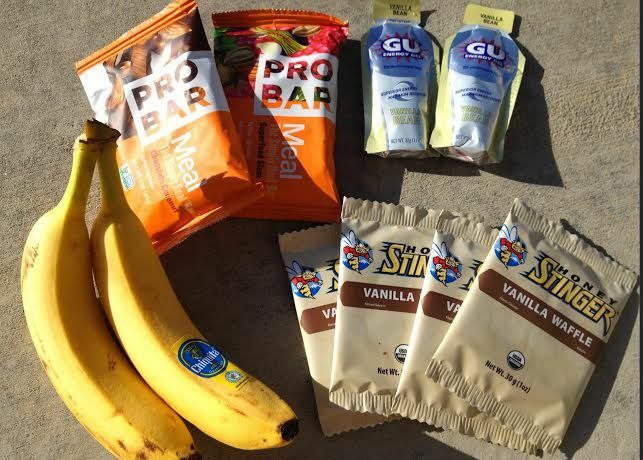 This is an issue than many entry level road bikes share—a fair amount of users tend to have issues with the lower quality of the component parts used to make up the gears, chain, tires, fork, and seat. As this is an expected downgrade of materials based on price and entry level caliber of the bike, this is not so much of an issue that is completely unexpected. Overall, this is a very decent bike and has a lot of features and components that Takara has succeeded in where other brands have failed.